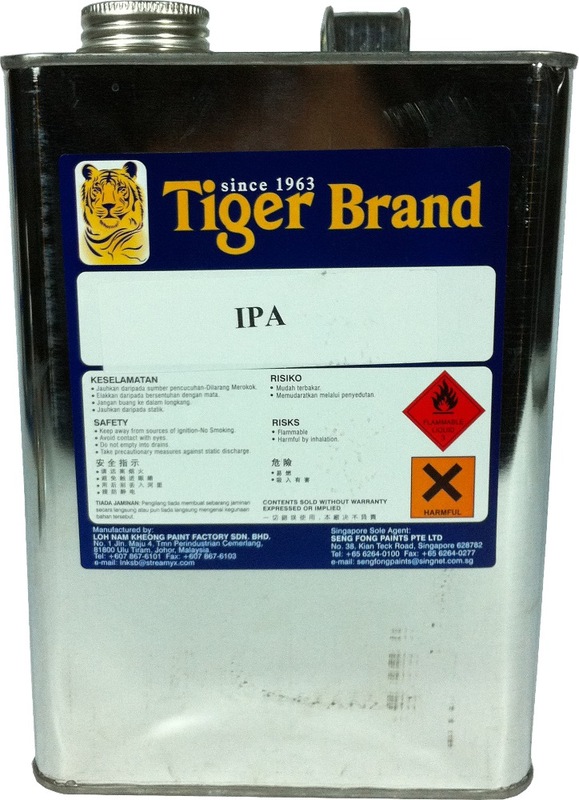 TIGER IPA (ISOPROPYL ALCOHOL) is rated 4.8 out of 5 by 25. 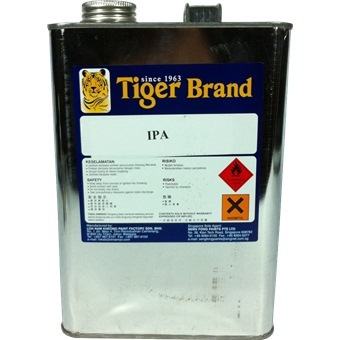 IPA (Isopropyl alcohol) is a colorless,flammable chemical compound with a strong odor. Rated 5 out of 5 by kelvin24 from Excellent item. 99.8% IPA at only $11.30 for 3.5L You can only get 70% IPA outside and it costs more even. Rated 4 out of 5 by Tin W from IPA is a multi purpose product IPA is a multi purpose product. good for diy and much more. Rated 5 out of 5 by Michael 9 KBR from smooth purchase For someone who dont like to have to leave the desk, being able to buy online from Horme Hardware is just great. Will buy more stuff in the future when the need arrises. Rated 5 out of 5 by Amos Toh from Value for money Went to a few places to look for this item but this is cheap and good. Have not really use yet but the specification looks about right with 99.9 % alcohol. Rated 5 out of 5 by hello12 from Good value Product received in good condition. Exactly as described. Rated 5 out of 5 by firebombom from Tiger IPA IPA was as advertised. No other place in Singapore where you can get 99% IPA at such a low price!